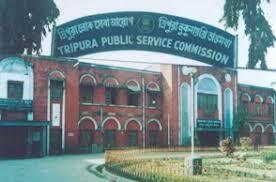 Post Name – Assistant professor for Higher education department Government of Tripura. Eligibility Criteria: Education Qualification: master Degree in relevant subject with at least 55% marks. Age Limit: maximum 40 year as on 4 November 2017. Reserved category candidates will get relaxation in maximum age limit. Application Form Fee – Rs 200 for only for general candidates and rs 150 for ST /SC/ BPL card holder / PWD candidates.